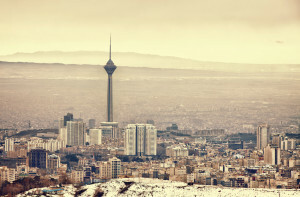 After the problems with the Iranian nuclear program (INP) had been solved, Iran’s path to liberation from sanctions proved to be long and challenging. 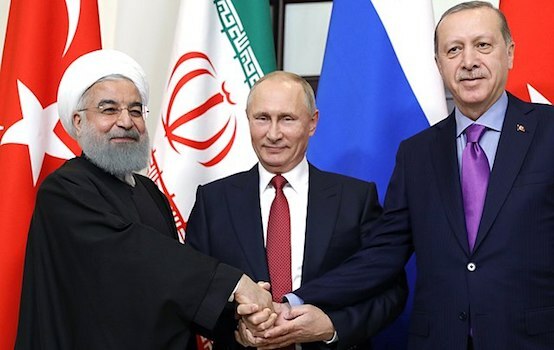 After the well-known agreement between the six global powers with Tehran reached on July 14, 2015, it seemed that everything would progress without a hitch. In fact, this seemed true for some time. On January 16, 2016, the parties announced the launch of the Joint Comprehensive Plan of Action (JCPOA). Iran gained access to its frozen assets in the West, which were estimated at 50 billion dollars. Tehran was once again allowed to sell oil, steel, gold, coal, pistachio and cars. The sanctions against the Central Bank were lifted. It became possible to supply passenger airliners to Iran. At the same time, a deal for the supply of 118 Airbuses worth 27 billion dollars was concluded in January, and in June it was revealed that there was another deal regarding the sale of Boeing airliners worth 20 billion dollars to the Iranians. Moreover, all the parties recognised that Iran complied with its obligations under the deal on the Iranian nuclear program, performed all of the IAEA requirements on verification and monitoring, was dismantling centrifuges, freezing the operation of its heavy water reactor in Arak, maintained its stocks of heavy water at the permitted level and kept the specified levels of uranium enrichment in line with quantitative and qualitative indicators. All three reports published by IAEA since January 2016 confirm Iran’s commitment to its obligations. The West pretended to be shocked and started to assert that Iran was asking for too much. The West, they said, was fulfilling its obligations under the deal and adhering to the agreement to the letter. The statements made by Ali Khamenei allegedly were part of the intra-Iran struggle between the supporters of the tough policy and “reformists” that the West associates the Iranian President Hassan Rouhani with. Anyway, if Iran wants to receive more from the Western countries, it must first settle its non-transparent financial system and fight with corruption, etc. However, Iranian anger is understandable. Practice has shown that the sanctions against Tehran had only been partially lifted. For example, the United States Secretary of the Treasury Jacob Lew announced this summer that the USA would continue to maintain its sanction policy against Iran. He highlighted that the agreement reached “concerns the nuclear sphere and does not solve problems of other areas where Iran’s behaviour remains unacceptable.” However, he did not specify what he meant, therefore, there remains scope for interpretation and setting new requirements. It is important to remember that from 2007 to 2014, the United States steadily and systematically introduced extensive unilateral sanctions against Iran almost every year, which included a ban on cooperation with numerous oil, energy and insurance companies managed by the Government of Iran. These sanctions covered dozens (up to 60) European and international companies that operated in the field of the Iranian shipping industry, as well as hundreds of Iranian citizens and their property. In addition, sanctions were imposed on the Iranian airline company Iran Air, the Central Bank of Iran, Tejarat Bank, and Dubai and Venezuelan-Iranian banks that allegedly helped Tehran evade sanctions, 50 financial companies and foundations, as well as the National Iranian Tanker Company. The sanctions affected Chinese and Emirates firms, which allegedly cooperated with Iran, and were accused of violating the sanctions imposed on the Iranian nuclear program and rocket and missile engineering. To make it clear, we should note that the American sanctions can be divided into two groups: sanctions imposed due to the nuclear program and miscellaneous sanctions. The miscellaneous sanctions introduced due to Iran’s development of rocket technologies are more extensive than the nuclear sanctions, and comprise two levels. The first level prohibits American companies and citizens from interacting with the Iranian regime, except in some strictly controlled fields – food products, healthcare, and civil airliners. Any deal effected via an American bank or insurance company, which involves an American citizen and dollars is theoretically subject to sanctions. This even has a curtailing effect on non-American companies as it was with BNP-Paribas bank that was fined 9 billion dollars by the USA for an attempt to evade sanctions. The second level: the USA reserves the right to punish foreign firms if they do business with those people or institutions that are included in the US sanctions list, such as Islamic Revolutionary Guard Corps. However, the Americans act deceitfully saying that Iran claims are allegedly provoked by a split between hardliners and moderates. Following the statements of the spiritual leader of Iran, Hassan Rouhani announced on July 13 that the Islamic Republic might restore elements of its nuclear program if the parties of the nuclear deal did not perform their obligations. This means that there is solidarity regarding this issue in Iran. The claims made by the Iranians are understandable: the West lifts some sanctions, but keeps the others, which may be formally outside of the agreement on the Iranian nuclear program and JCPOA, but actually tighten the stranglehold in the country, which may devalue all the other achievements made under the INP. Thus, the Iranians have found out in horror that West European companies and banks do not want to invest funds in the country until they get rock-solid guarantees from Washington that no financial and other retaliatory acts will be imposed on them. 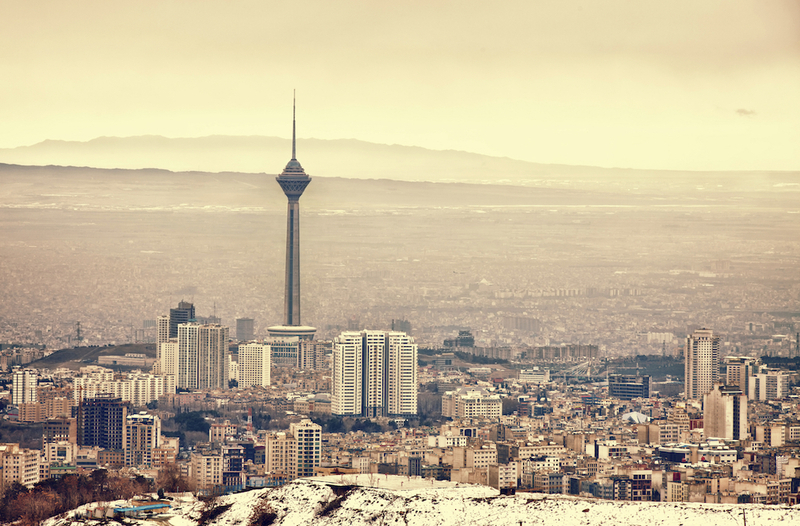 The EU is going through hard times in terms of the economy now, and it is ready to lobby (though very timidly) Iranian interests hoping to enter the vast Iranian market. However, Iran has ill-wishers as well. Its return from the diplomatic, political and economic isolation worries the Gulf States a lot, especially Saudi Arabia. It perceives Tehran as a powerful emerging economic strength and an expansionist militaristic power with imperial ambitions that is ready to use the Shia factor to promote their interests in the region. Since January 2016, i.e. from the moment the major international sanctions were lifted from Iran, Riyadh launched a large-scale international campaign to discredit Iran and restore its position of isolation and sanctions for a different reason this time – for being a sponsor of terrorism and a supporter of the destructive powers in the region such as Hezbollah in Lebanon and Houthis in Yemen. It achieved the condemnation of Iran’s actions from a number of regional and international organisations, in which it dominates – the League of Arab States, the Organization of Islamic Cooperation, the Cooperation Council for the Arab States of the Gulf. In general, the Saudi arguments failed to return the sanction regime in respect of Iran at the international level, despite the fact that the Foreign Affairs Minister of Saudi Arabia Adel al-Jubeir published an article in the Wall Street Journal on September 18, right before the speech of the H. Rouhani at the regular session of the UN General Assembly. In this article, he accused Tehran of all these sins including the support of al-Qaeda. Riyadh understands that all this is still not enough to deflect the United States and West European countries from their normalisation policy with Tehran, and it is working closely within the presidential campaign in the United States and in Congress to push, if possible, either the termination of the nuclear deal or the tightening of US unilateral sanctions against Iran, and if this does not work, at least the preservation of these sanctions. It should be noted that the Saudi hopes are not groundless. Both candidates for the US presidency are rather suspicious towards Tehran. Riyadh needs the victory of Hillary Clinton come what may as they expect that she will uncompromisingly lead the USA and the rest of the West towards tightening the policy against Tehran. That is why the Saudis have invested heavily in the election campaign of the Democrats. This means that the story has not yet come to an end. 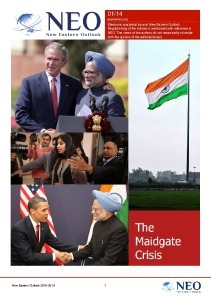 Its next round will be immediately after the US President elections.